Make your home or office warmer in winter, cooler in summer while saving money with proper insulation. According to the data of The National Insulation Association, 33% of your property’s heat is lost through the walls. Insulating your walls make your home much more energy efficient. House Renovations company offers a wide range of services in Toronto and the GTA to the homeowners, contractors and/or builders regarding to different insulation needs. Our specialists provide all types of a comprehensive insulation design, installation and supply for concrete walls, basement ceilings, attics, floorings, roofs, crawlspaces, heating and ventilation systems. We utilise the latest fabrication and material technology in all available types of insulation: blown-in, SIPs, insulation boards, batts, rigid and sprayed foam insulation, combing high durability, strength and thermal and acoustic qualities. Our experienced and committed staff provide you excellent services, disciplined contractual control and cost effective pricing in Toronto and the GTA. This popular type of insulation is produced in rolls with a foil backing of different widths and thicknesses. The used material, a glass wool or rock mineral wool, has a good environmental rating as it is produced from recycled bottles. It is used in residential homes on unfinished concrete walls, floors and ceilings, foundation walls, especially in spaces that are free of obstructions. Rock mineral wool is a more solid material than glass wool; therefore, it is suitable for compression. 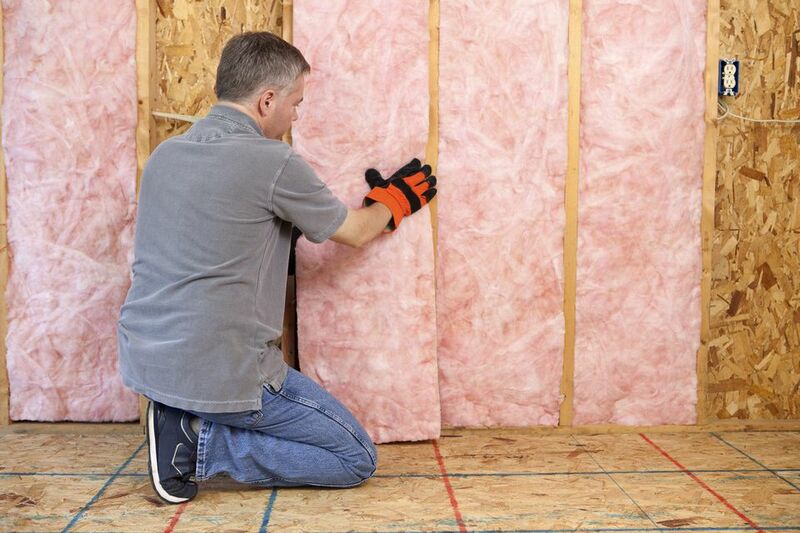 Fiberglass insulation is one of the most cost effective and easiest materials to install. Due to its fire and heat resistance, it is an excellent measure for fire protection. This type of insulation, made out of polyurethane, is used under a floor, in basements or in lofts where weight needs additional support. Plus, due to its rigidity and durability, rigid foam minimizes the level of sound travelling through walls or raised floors, providing additional acoustic insulation. Besides, this type does not work for re-insulating a home. One of the most common type, made out of cellulose or fiberglass materials, works exactly how it is named. It is kept in compressed blocks that are broken down into tiny pieces by a powerful insulation blower; moreover, sometimes it can also be poured in. This type is perfect for irregularly shaped areas or as an addition to existing finished areas, such as open new wall cavities, unfinished attic walls and floors, enclosed existing walls or areas that are hard to reach. Solid foam insulation is a combination of polyurethane or cementitious materials that are firstly heated and then sprayed out of a machine through a hose in the same way as liquid foam. It is poured or injected into wall cavities where it expands within seconds and forms a continuous even layer, creating an airtight seal. After hardening it becomes very versatile and sticks to anything it touches including pipes, ducts and wires. It is ideal for re-insulating homes over existing finished areas, around obstructions, irregularly shaped areas in new wall cavities, for basement wall insulation, unfinished attic floors. SIPs (or Structural Insulated Panels) are usually made by a plastic foam rigid insulation between 2 structural skin surfaces such as OSB (oriented strand boards). These panels are usually manufactured in a variety of sizes or dimensions with thickness from 4 to 8 inches. This 21st Century Building Material provides a superior and uniform insulation system compared to traditional building methods. SIP installation is used in unfinished floors, basement ceilings, roofs and walls, providing an extremely strong, durable and energy-efficient high performance material. If you are from Toronto and the GTA, House Renovations team will be glad to create you a comfortable and pleasant living environment with the best of technology. Call us today for top-quality insulation and we guarantee to exceed all of your expectations.